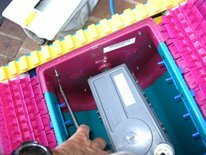 _ The cable is one of the few Dolphin Diagnostic parts that may be available from your local dealer. 2. 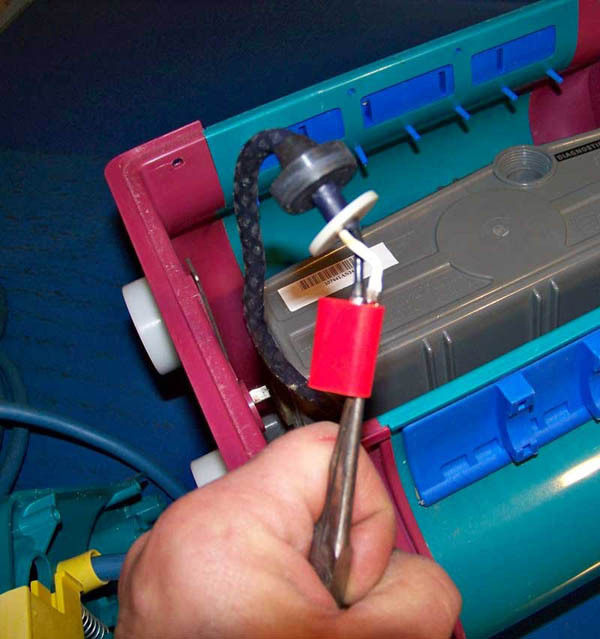 On the motor box,locate the Cable hold down plug and unscrew it counterclockwise (spin left). I used a screwdriver to back it out. 3. Grip the cable firmly and pull it out of the socket. 4. Using a multimeter set to continuity, check the continuity of each wire. 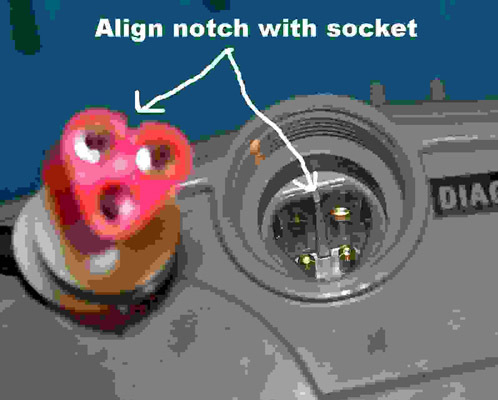 If continuity is good, replace the plug, it can only go in one way, and tighten the hold down nut. If no continuity, replace the cable. 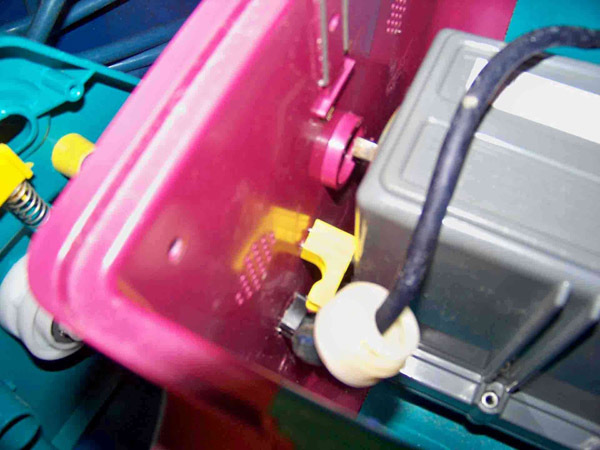 The plastic terminal harness, rubber gasket, plastic washers and nut must be removed to withdraw the cable from the body. 1. Mark on the harness the placement of each wire. Use small needle nose pliers to grip the metal terminal end and with a twisting motion, push each one out of the harness. 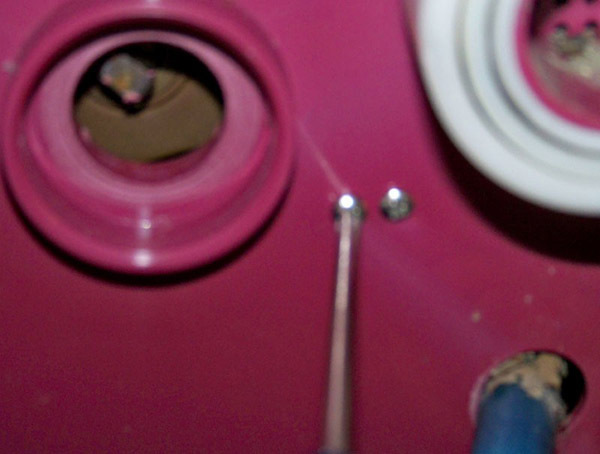 Once the terminal ends are free, remove the washer, rubber sleeve gasket, washer, hold-down nut. 2. 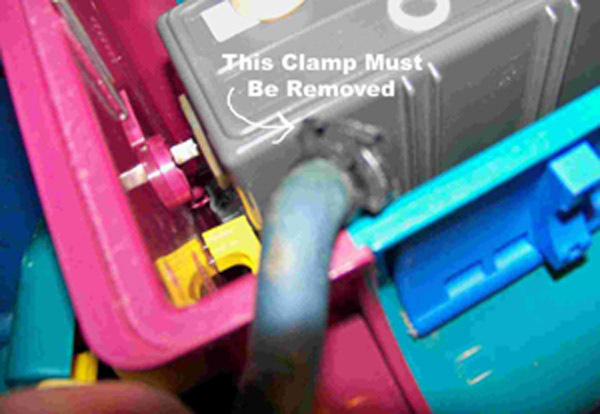 If the cable is held tightly to the inside body by a clamp then the side plate must be removed to loosen it. 3. 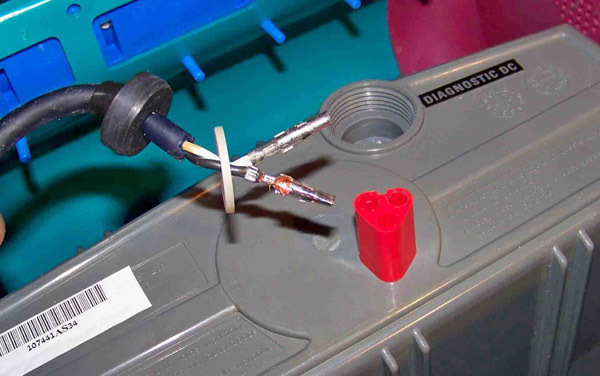 There is one more clamp on the cable that must be removed before the cable can be withdrawn from the body and sideplate. It is situated to prevent the cable from sliding out during normal operation. 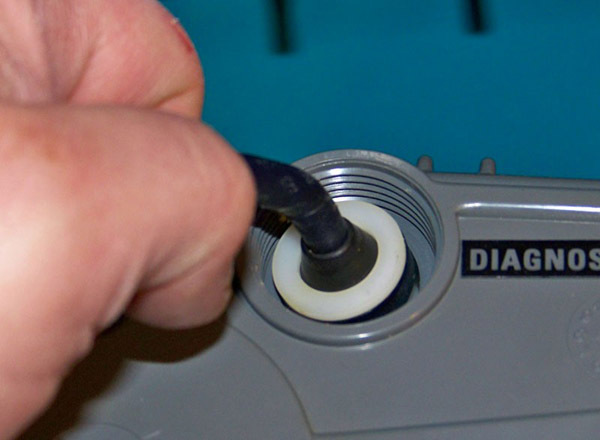 Pull the cable up and use a screwdriver or pliers to remove it. Reverse for installation. Cable clamping assembly slides on this order. Large hold down nut, washer with large hole, rubber grommet, washer with small hole, plastic harness. Re-clamp cable to the inside body. and attach the sideplate.